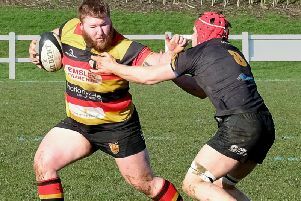 Harrogate RUFC produced a fine display as they beat Kendal in comprehensive fashion at the Stratstone Stadium on Saturday. Director of rugby Dave Doherty was full of positives following the 38-0 North Premier victory on a cold, blustery afternoon. Click on the video above to watch his post-match reaction.